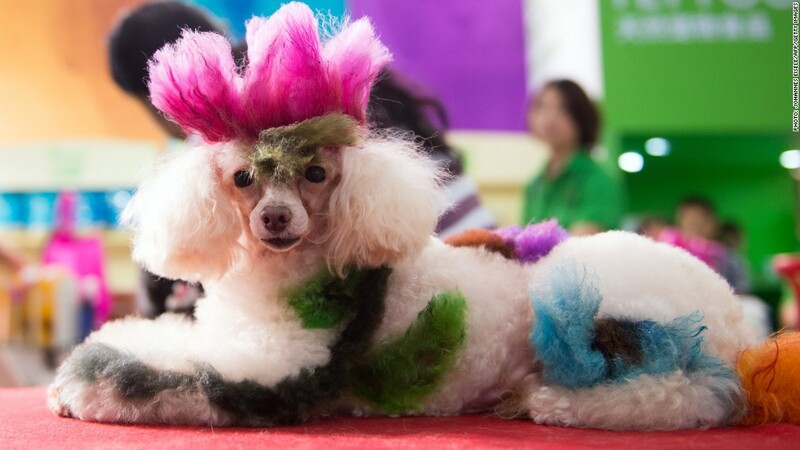 It's the latest growth industry in China: pet lovers are spending billions pimping their pooches. 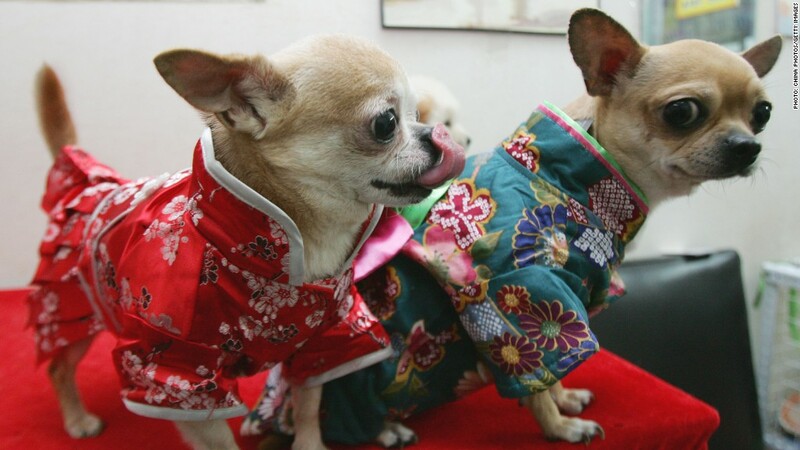 China has one of the world's lowest birth rates, and a growing number of middle class couples are choosing to lavish their time and money on pets rather than kids. 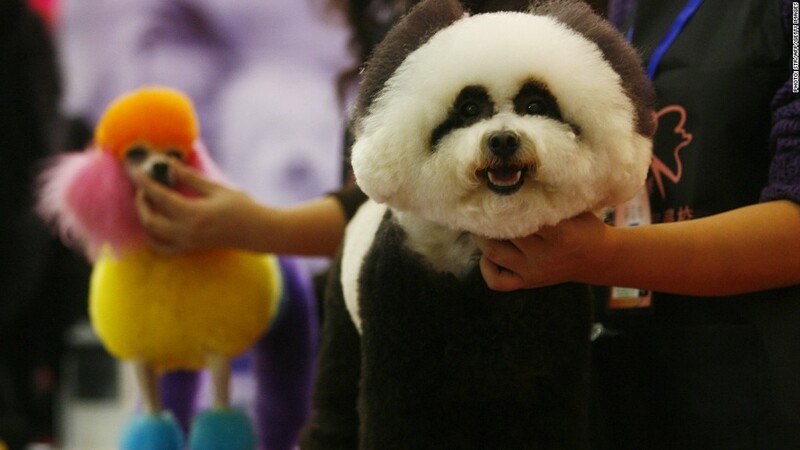 "I take my dogs and cats to the salon for beauty maintenance; in the summer, they relax in cooling baths, and sometimes get spa mud masks," Yu said. She's not alone. About 7% of households in China now have a dog, and 2% have a cat. 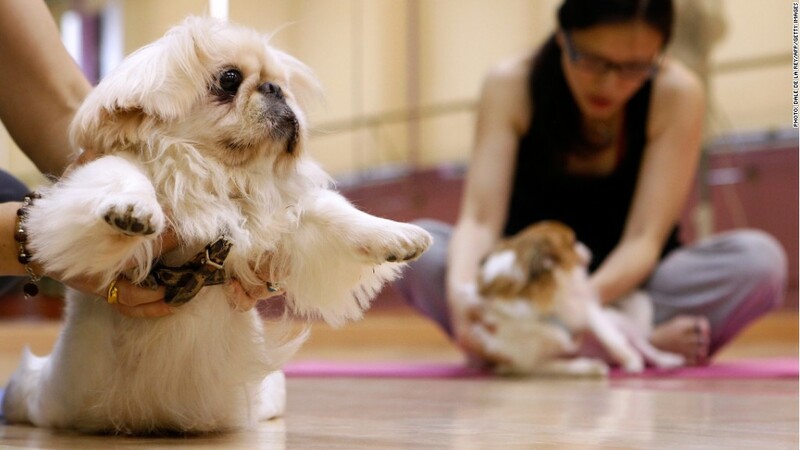 There's also a growing array of specialty services: acupuncture, Chinese herbal remedies, fur dyes and perms to make puppies look like pandas, pretty manicures and dog yoga -- also known as doga. Yu, who works part time, says she and her husband decided against having kids because they were worried about pollution, food safety, public order and academic pressure. She's happy to spend on her furballs, and says having pets is much less work than raising children. "It's easy to get in the habit of having pets," she said. "I only have to worry that they eat enough, dress warmly and don't have any major accidents." Yu, 36, even asks friends traveling abroad to bring back the latest in pet haute couture -- her favorites are Korean animal fashions. "The return pets give you is really quite a lot -- if you're upset, just call them over and they'll be by your side," Yu said. "I'll raise this lot until they get older, and then we'll probably get some more pets."